We adopted Lager when he was 3 1/4 years old, so we don’t have any puppy pics of him. 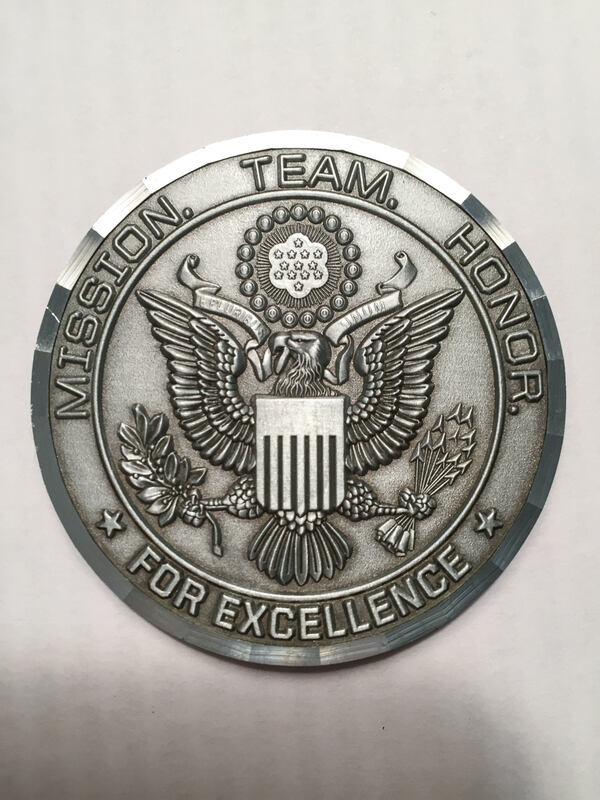 Due to Lager’s extensive training and his Military service, he has traveled to many states and even a few countries! Lager was born on May 13, 2012 in The Netherlands. Lager’s Military service brought him to Jordan, and also to Iraq, where he served as an Explosives Detection Canine for 18 months. Lager has been in several sates with his extensive training for his Military service. Brian and I had been talking about getting a third dog for quite some time, but found ourselves getting cold feet in the process. We had inquired about a couple of dogs, waiting for “that feeling” to emerge to indicate that we found just the right fur-child to add to our family. Brian and I had been talking about this one particular mixed-breed we both saw online in a rescue, but kept having mixed emotions, so we held off on advancing any further. On Friday August 21, 2015, as I sat on our porch waiting for Brian to get home from work, I thought I would tell him to go ahead and call about the dog we had been talking about so much to find out more information that may help us make a definite decision one way or another. 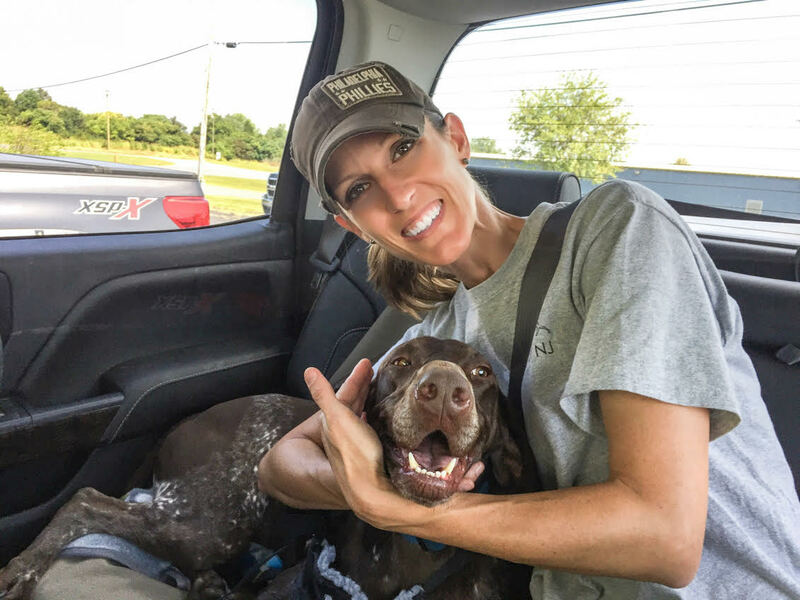 Not even 30 minutes after that thought, I received a phone call from our friend, Gwen, the President of Tidewater DockDogs, one of the affiliated clubs of the DockDogs organization that we belong to, explaining that SOC had a 3 year old male GSP, who is a retired Explosives Detection Canine, in need of a home. 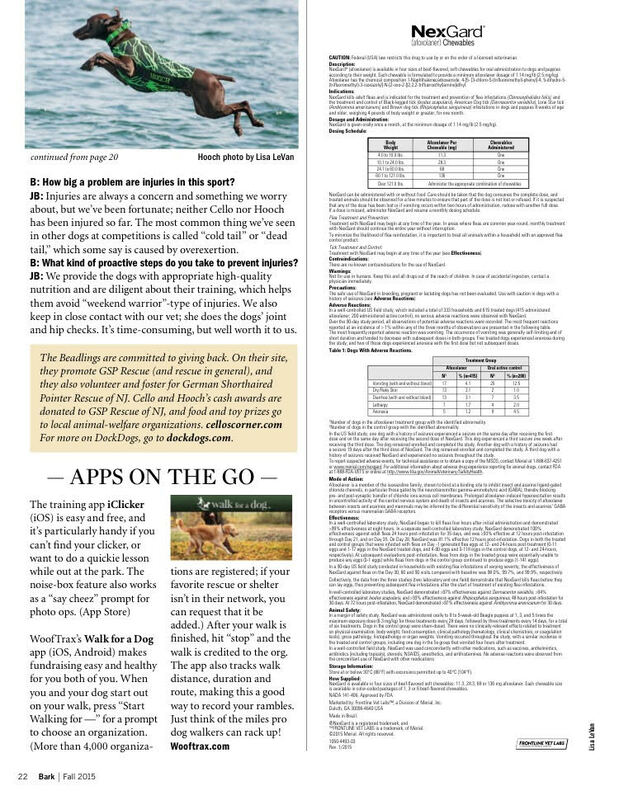 With the dog’s best interest and love of water in mind, John, the man in charge of the dog, contacted Gwen of Tidewater DockDogs to inquire if she knew of anyone involved in the sport that is familiar with the breed, would have access to water at home, and would get the dog involved in dock diving. (There are other affiliated clubs closer to John’s location – However, Gwen was the only person listed with a phone number in reasonable proximity!!) Gwen called me immediately. During this conversation with Gwen – without even having seen a picture of the dog – there it was – – “that feeling” kicked in. 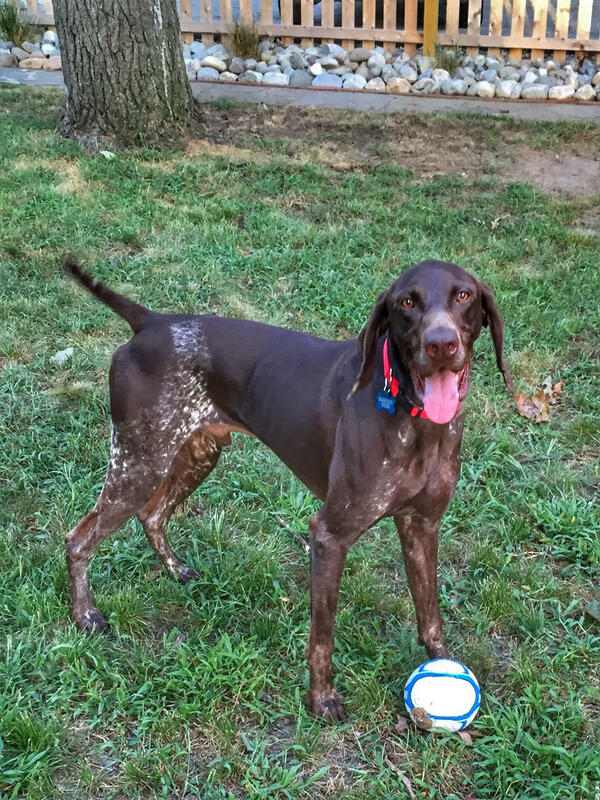 We love the German Shorthaired Pointer breed, and are fascinated with how different each GSP’s markings are, as they can be solid black, black and white, black roan, solid liver, liver roan, or liver and white. 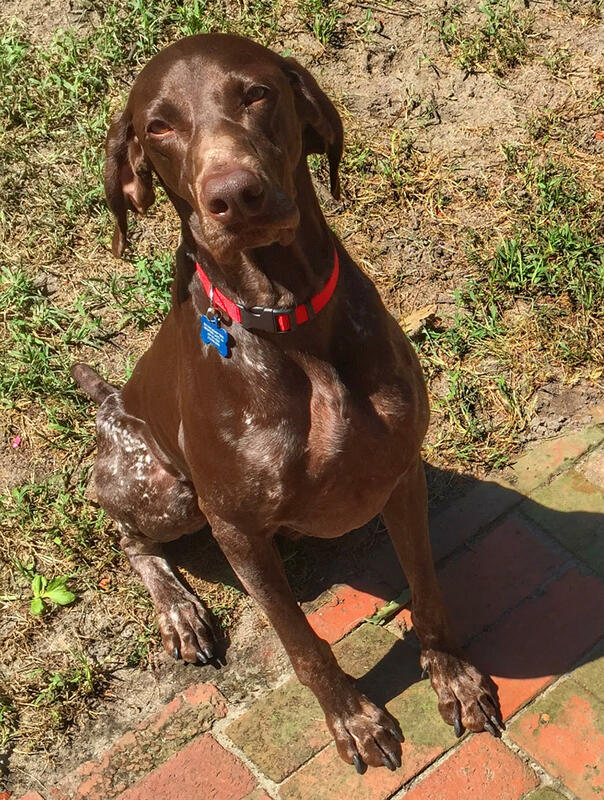 If the GSP is not a solid color, the American Kennel Club refers to their markings as patched, patched and ticked, or ticked. Although we think every GSP we see is unique and stunning, we are very partial the solid liver and liver roan coloring – and even chose our dock diving team name to be The Liver Killers (a “play” on the coloring of Cello and Hooch (liver) with the human liver, and their alcoholic-beverage-themed names. When I viewed the pictures of Nayt, I saw that he was liver roan, and was in love for sure! Shortly after I received the email, Brian came home. I relayed my conversation with Gwen to him, and showed him the pictures and video. I could tell immediately “that feeling” had set in for Brian as well. Brian almost immediately called John. Brian felt very comfortable with the conversation he and John had, and John felt we were a good fit for the dog. On Sunday, August 23, 2015, the entire Beadling pack (minus our cat, Loki) set out on a road trip to Martinsburg, WV to meet Nayt and John. When we arrived at the facility in Martinsburg, John met us outside. He led us all inside, where we were able to secure Cello and Hooch in separate crates so that Brian and I could meet Nayt before introducing him to Cello and Hooch. 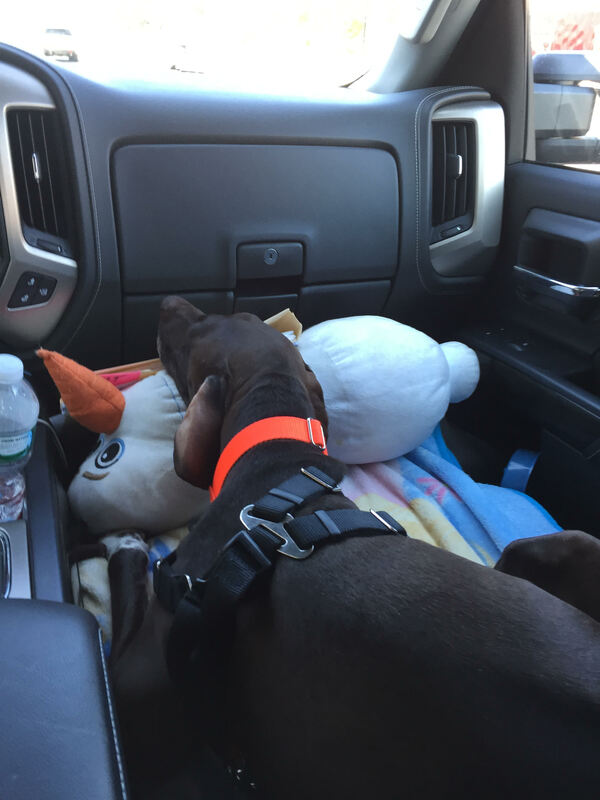 We were greeted by a friendly and very energetic GSP with a toy drive like no other! After meeting Nayt, and speaking with John and one of Nayt’s trainers, we introduced the three dogs on-lead, walked them all together outside, then into a fence-in yard to see how they interacted. All went well outside in the yard with the three dogs socializing appropriately. Nayt quickly won our hearts over with his vibrant personality, and handsome build – -and the decision was made to adopt him into our family. He came home with us that very day. 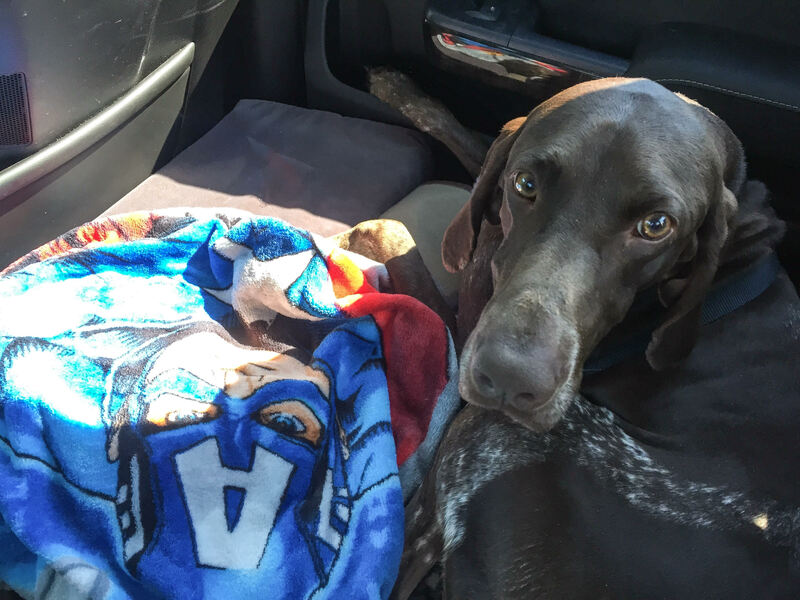 Nayt had his own soft Captain America blanket to lay on for his ride home. 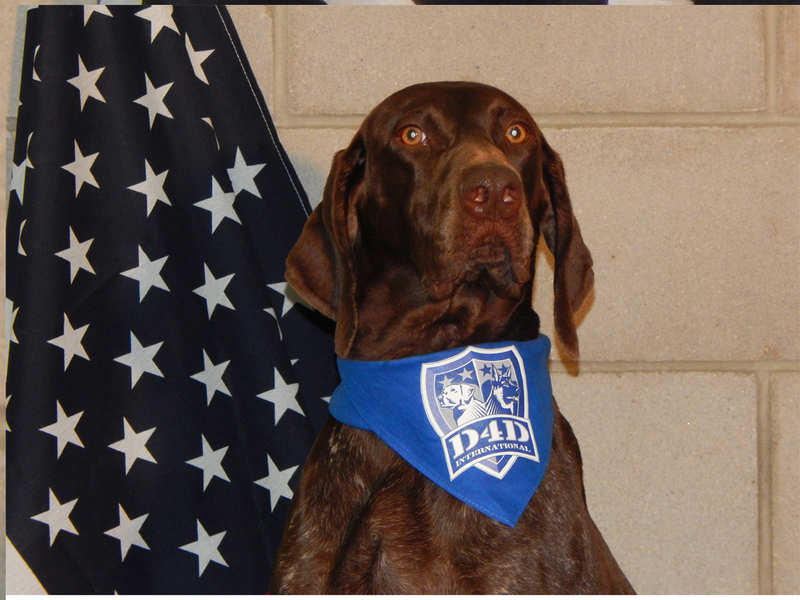 Nayt is 3 years old, and served the United States of America for one year as an Explosives Detection Canine in Iraq. 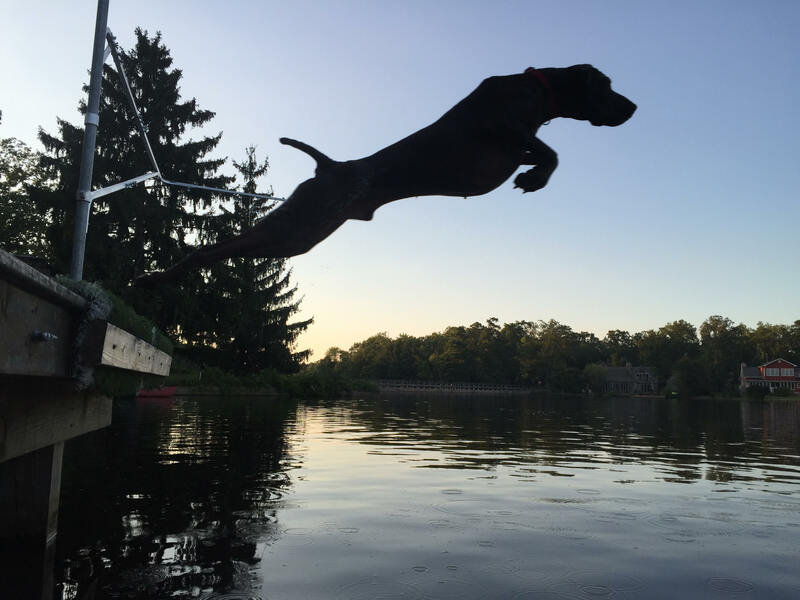 He decided that his GSP instincts and love for water were more fun that searching for explosives, and was discharged from his duties. 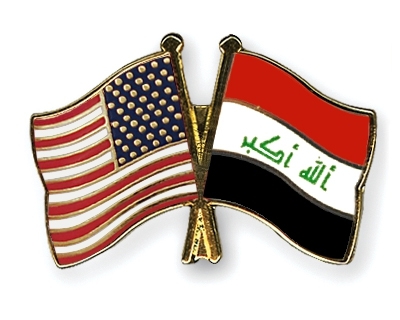 He can identify over 30 explosives, and his journeys have led him to quite a few states here in America, and even to a couple of countries overseas. 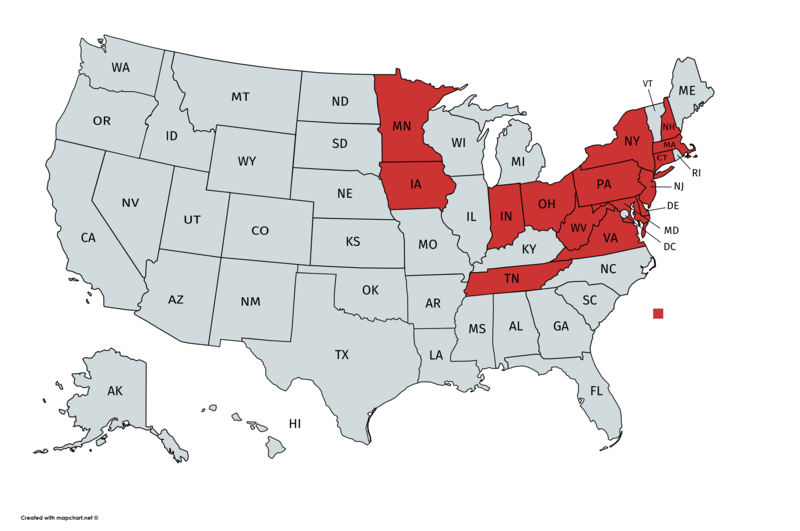 This world traveler has been to The Netherlands, Iraq, Jordan, North America, Minnesota, Indian, New York , Pennsylvania, West Virginia, and now, New Jersey. Check out maps of his travels by clicking HERE. Nayt is now known as Brogan’s American Lager – “Lager” for short. So far, Lager is doing well, and our family is adjusting nicely. Lager has not yet met our cat, Loki. We plan on slowly introducing them in the near future, as to not overwhelm Lager or Loki. 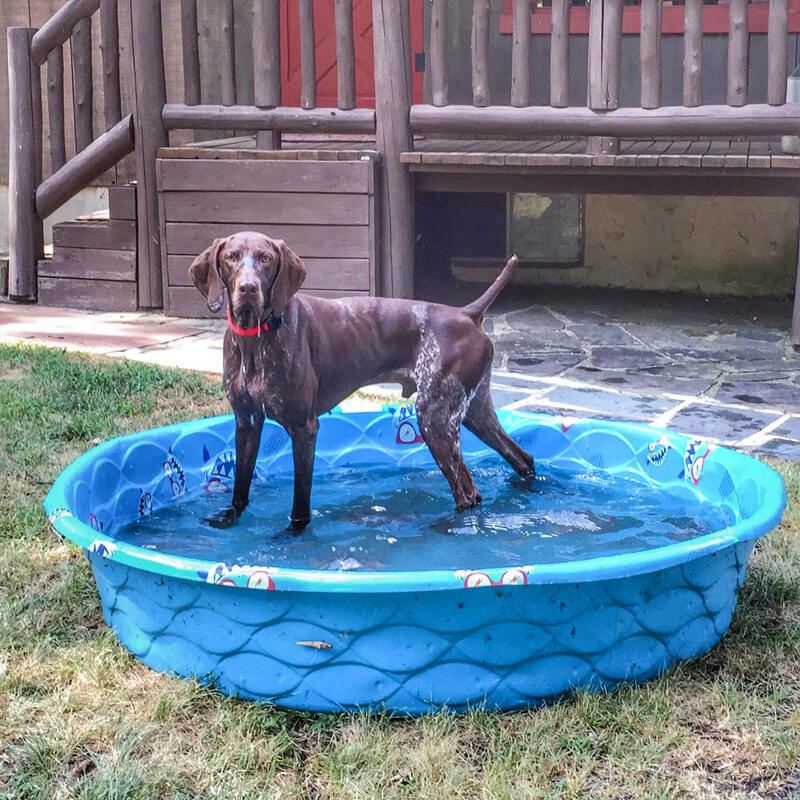 Lager is enjoying playtime with Cello and Hooch in our side yard, goofing off in the baby pool, and has already displayed his love of water and diving off our dock! We plan to enter him into a dock diving competition before the 2015 season is over, to see if he would be comfortable jumping into a clear-water pool. Lager doing Extreme Vertical off our dock! Limoncello and Hooch made the top story on the front page of South Jersey’s newspaper! The Courier Post sent a reporter and photographer to our home to do a story on The Liver Killers. We had such a great time, and the story and video came out great! MEDFORD LAKES – Limoncello — Cello for short — greeted this reporter with a kiss and then turned her laser focus to the turf runway her owners, Brian and Jenny Beadling, built for her and her canine sibling, Hooch. Cello had a job to do, and she was serious about it. She had to get that ball. And she was just waiting for Brian to toss it from the Beadlings’ dock and into Aetna Lake. 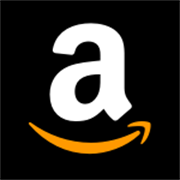 The 4-year-old German shorthaired pointer watched, waited, and then, while the bright orange ball with the blue stripe was in the air, ran and flung herself to retrieve it, landing with a splash and a big doggie smile, the ball in her mouth as she paddled ashore. 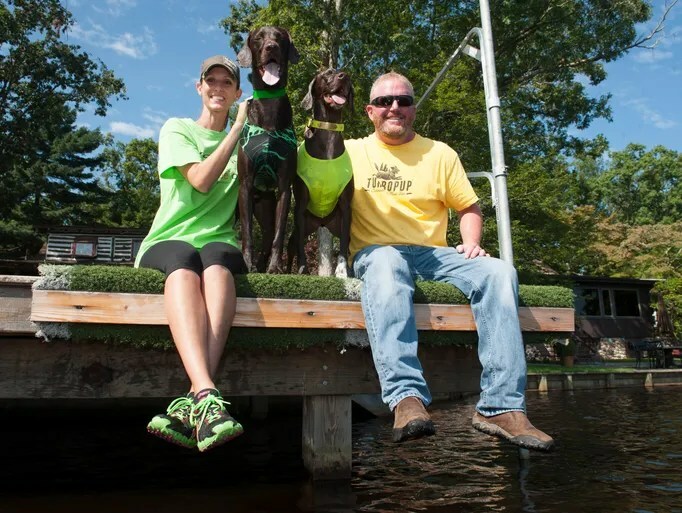 Cello and Hooch are among the top dock diving dogs not only in the nation, but in the world, as ranked by Dock Dogs, the national group overseeing the sport. 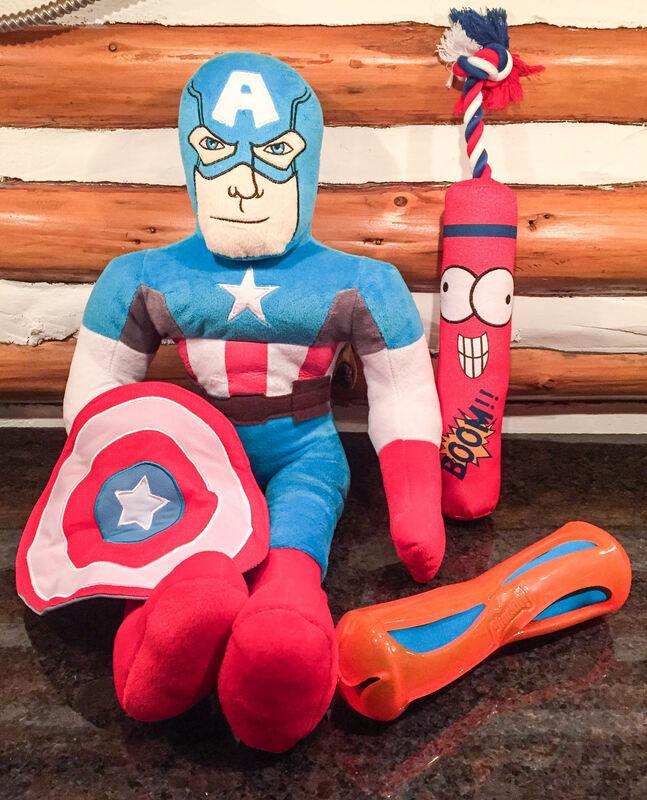 The Beadlings’ dogs compete all over the East Coast, traveling year-round to competitions measuring lengths of their jumps and how high they go. That means their owners have to be high-energy, too. “Their vet told us, ‘They have no “off” button,’ ” he said. “This is their playground; we just pay the bills,” Jenny Beadling said with a laugh. Indeed, the Beadlings’ lakefront log cabin they dubbed “Windy Spot” looks as much like a retreat for the dogs as for the couple. There’s the runway which extends a few feet further into the lake, as well as a metal arm that swings out over the water for the dogs to jump and grab toys on their way down. After buying the 1920s cabin in 2009, the couple worked to restore it and Brian Beadling, who works in the mortgage business, researched the home’s history. 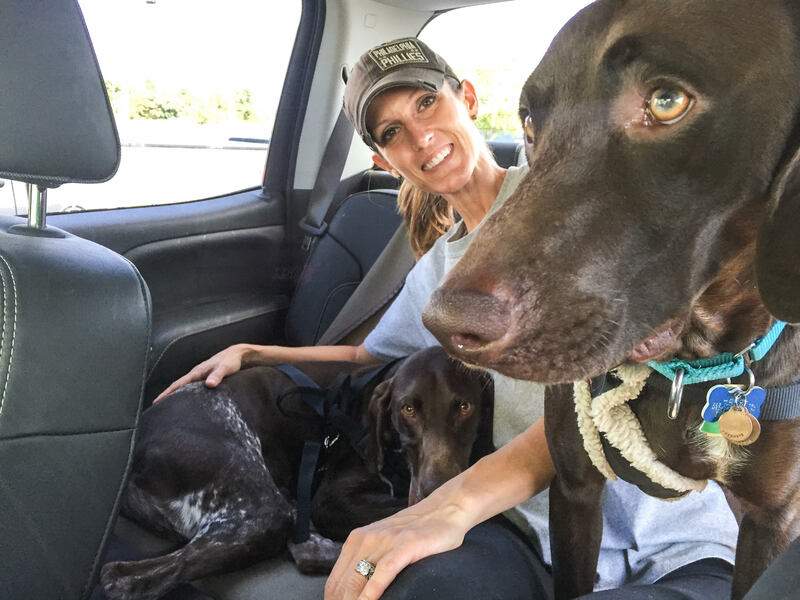 He found the home’s original owner had a German shorthaired pointer named Windy Spot, and that was the first the couple had heard about the breed. Windy Spot — the dog — had won several field awards with a local dog club and so the couple, after more research, decided on the breed. They got Limoncello in 2011 from a Chatsworth farm and named her for Jenny’s grandfather’s special homemade Italian liquor. Kathy Parkin helps the dogs keep fit by working with them at Pinelands Dog Training Center in Medford. She’s been working with Cello and Hooch for about 10 months, she said. 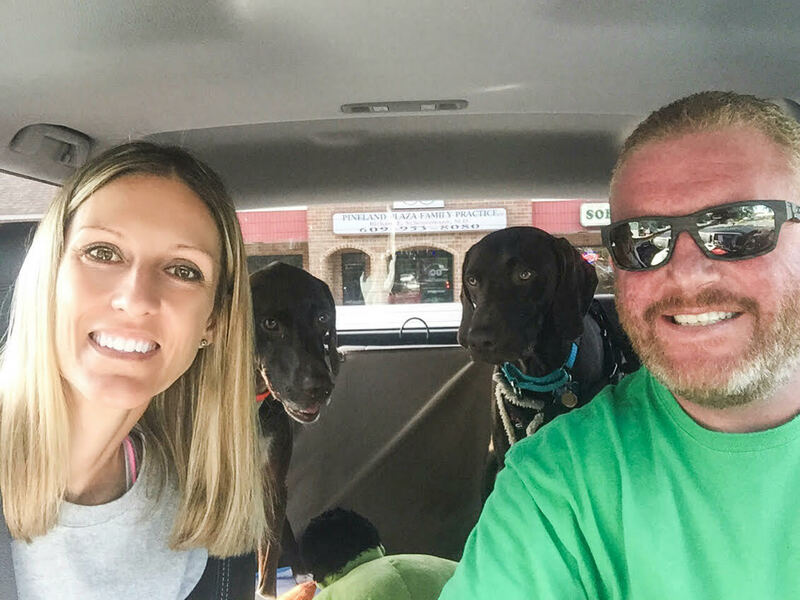 The Beadlings travel two to four times each month with the dogs, loading them into their brand-new GMC Denali (which already has logged 20,000 miles since November). They choose campgrounds and dog-friendly restaurants when they travel, treating Cello and Hooch as full members of the family. The competitions pay $100 for first-place finishes; $50 for second, but Cello is sponsored by Turbo Pup, a meal supplement for dogs. 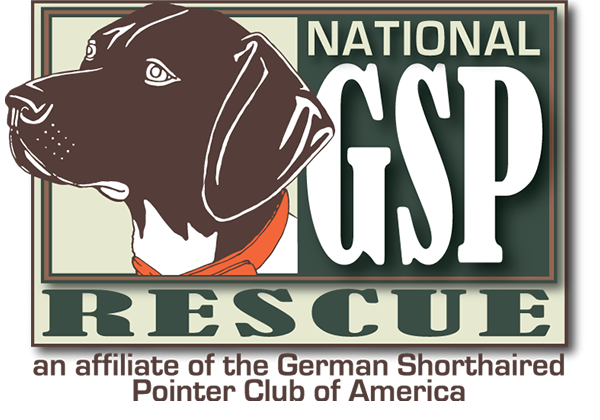 All cash prizes, she said, go to the dogs: GSP Rescue of New Jersey, a nonprofit dedicated to the breed. Contents of their prize bags, like food, treats and toys, are all donated to the Animal Orphanage in Voorhees. “They’re great people, too,” Parkin said of the Beadlings. 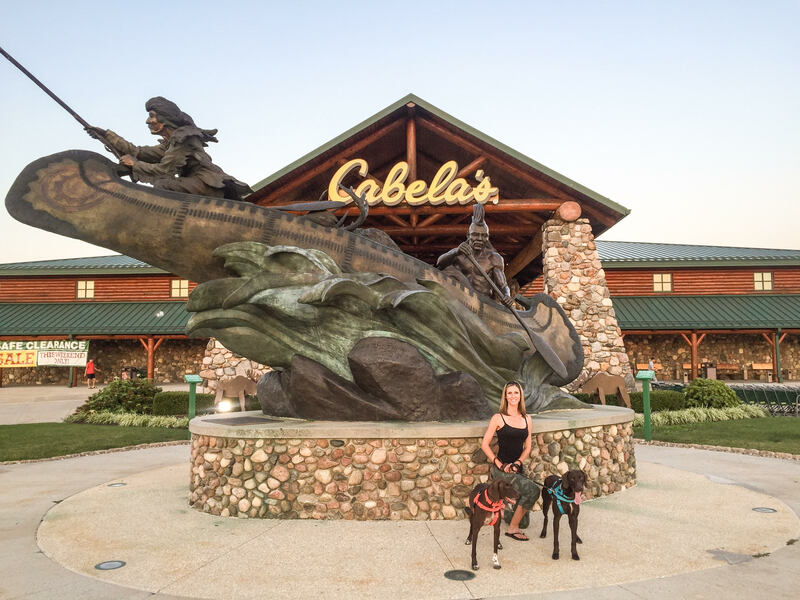 We love Cabela’s events where you can camp right in the parking lot, and crate the dogs right from your home on wheels!! 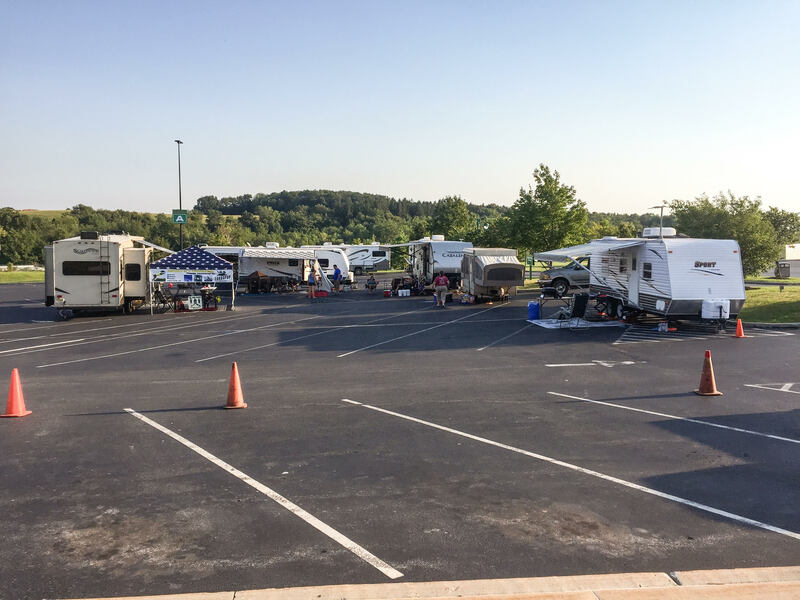 This event was hosted by Keystone DockDogs, and held at Cabela’s in Hamburg, PA.
We set up “camp” with other dock diving friends who also have campers – and had a BLAST! (We are the camper with the American Flag canopy). …And Cello’s new TurboPUP banner! Dan from TurboPUP came out to watch the 2 TurboPUP Ambassadors do their thing! We also love this event since it is close enough for friends and family to venture out to watch the pups dive. One of Brian’s coworkers, and Brian’s mom, brother, & god-daughter all came out to watch the Liver Killers get some big air! The only pictures I took this weekend are the ones you see above (bad dog mom!). There were some computer issues at the event, so I don’t have all the recorded jump information just yet, but I will share the scores that I do have. This was a particularly good event for Hooch! Hooch jumped big all weekend, soaring over 23 feet in all five of his Big Air waves, acquiring (3) First Place medals, (1) Second Place medal, and (1) Third Place medal – all in the Elite Division. Hooch also took First Place in the Elite Division Big Air Finals! His biggest jump of the weekend was 24’1″, just an inch under his personal best. Hooch secured a new Personal Best in Extreme Vertical, with a grab of 6’2″ !! This also earned him a First Place ribbon for the Top Gun Division! Cello jumped consistently all weekend, but score just below her current division most of the weekend. Cello did make the Elite Big Air finals (this was the first time Cello and Hooch made the same division finals and went head-to-head!) Cello placed 5th in the Elite Division Big Air Finals with a jump of 21’6″. Cello did Extreme Vertical as well – however her biggest nemesis (golf cart) made an appearance while she was up on the dock, and she lost her focus, knocking her out of the competition earlier than she should have been. Overall, we had a really fun weekend with friends and family, won some really cool ribbons, medals and Cabela’s goodies, and even got to meet some new friends who follow Cello and Hooch’s adventures on their Instagram account! Limoncello and Hooch in “The Bark” Magazine! 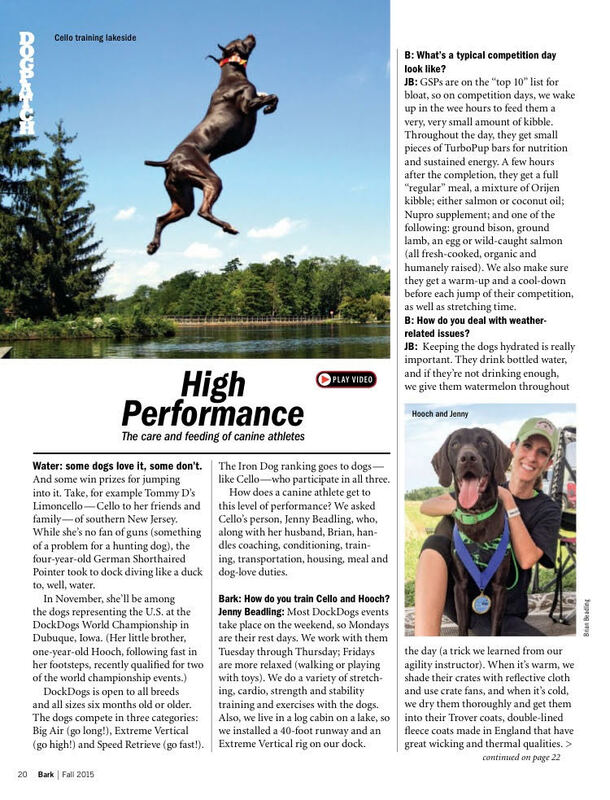 Cello and Hooch’s feature in The Bark Magazine! “The Bark is the magazine of modern dog culture—it speaks to the serious dog enthusiast. The Bark is the indispensable guide to life with dogs, showing readers how to live smartly and rewardingly with their canine companions. Founded in 1997, as a newsletter to advocate for off-leash dog parks in Berkeley, California, the magazine quickly grew into a glossy, award-winning publication acclaimed for its timely commentary and rich literary offerings. Today, The Bark has a nationwide readership of over 250,000. 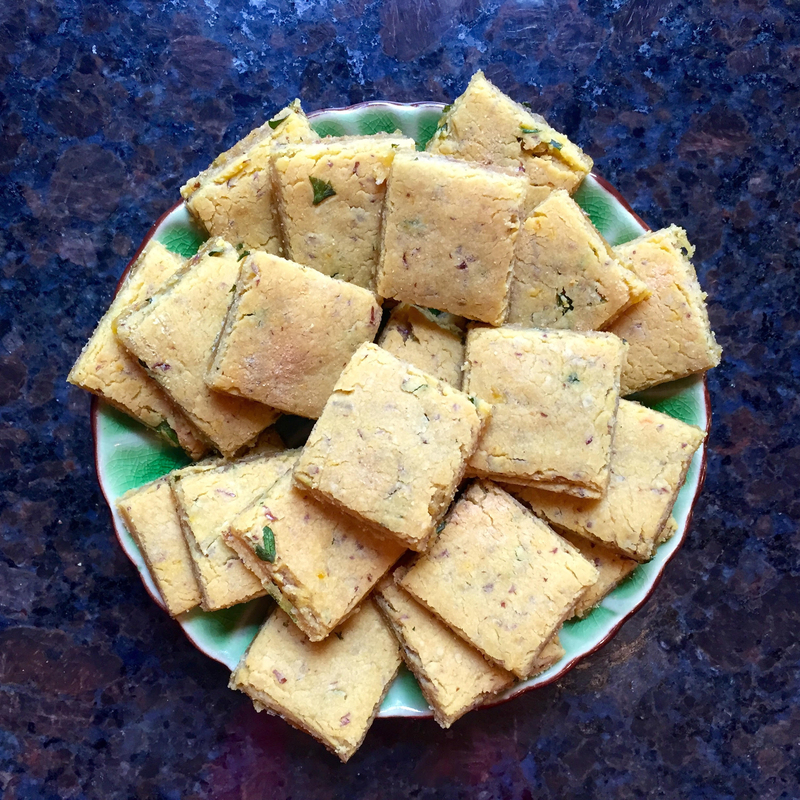 It is published four times a year, available by subscription and sold at Barnes & Noble, Whole Foods and PetsMart stores. Claudia Kawczynska and Cameron Woo founded The Bark in their garage, shortly after adopting their first dog, Nellie, and discovering it was illegal to allow their dog to romp untethered at their local park. The couple tapped into Kawczynska’s experience in public policy and Woo’s skills as a graphic designer to craft a publication that addressed the burgeoning issues faced by a new generation of dog owners. Taking the magazine’s slogan to heart—Dog Is My Co-Pilot—The Bark became the first magazine to tap into the exploding phenomena of dog culture and lifestyle, focusing on the growing bond between individuals and their pet companions. 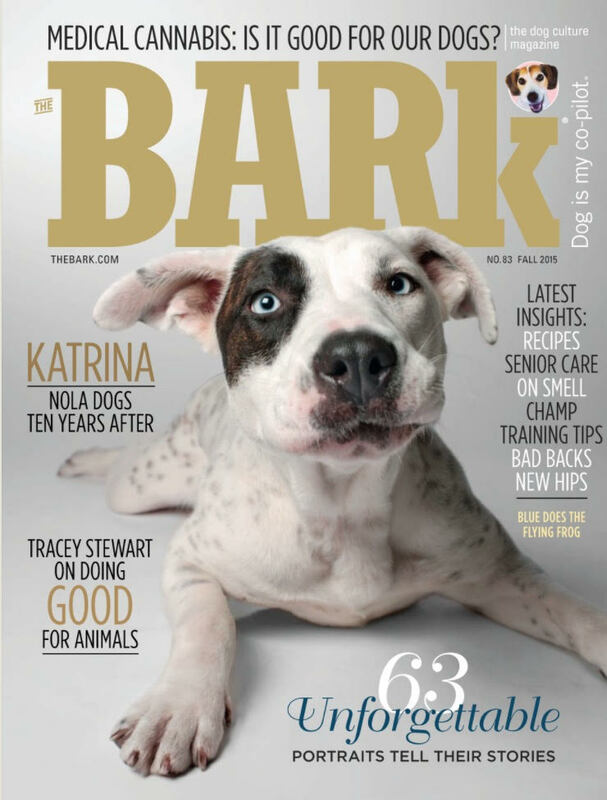 Over the past twenty years, The Bark has chronicled the America’s love affair with dogs, the evolving status of canine pets and their role in society, as well as the incredible rise in services and products. The Bark has become the recognized expert on the social/cultural world of dogs in America, and what they mean to us. The Bark’s impeccable pedigree includes publishing many of today’s most acclaimed authors including Ann Patchett, Augusten Burroughs, Rick Bass, Amy Hempel, and Pulitzer Prize winning poet Mary Oliver. The magazine features the writing of noted experts in science, animal behavior and health—Dr. Nicholas Dodman, Donald McCaig, Mark Derr, and includes animal behaviorist Patricia McConnell and nutritionist Marion Nestle as regular columnists.